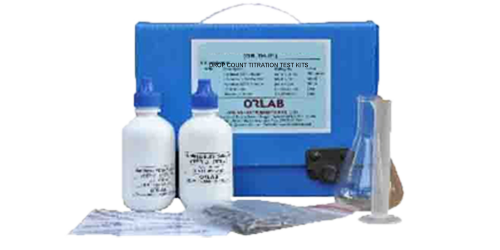 Acidity Test Kit - Orlab Instruments Pvt. Ltd.
Acidity of a water is its quantitative capacity to teact with a strong base to a designated pH,. Acids contribute to corrosiveness and influence chemical reaction rates, chemical speciation, and biological process. The measurement also reflects a change in the quality of the source water. 15 ml Acidity indicator, 100 ml of Acidity reagent, 10 ml measuring cylinder,100 ml conical flask, instruction manual in a flute board box.